Friends are an important part of our lives. In general, friends share a common backgrounds, occupations and/interests. 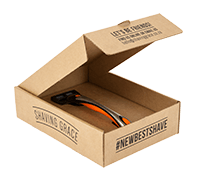 Shaving Grace subscribers enjoy a smooth shave at a good price combined with the convenience of having high quality razor blades delivered to their door. Shaving Grace customer are happy. Why not making your friends happy as well? 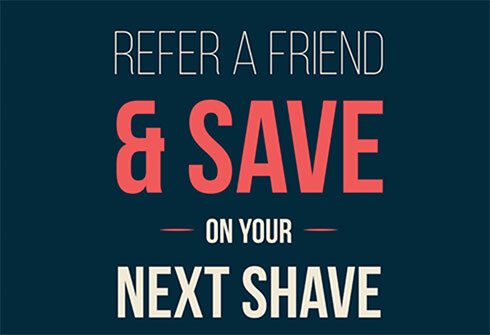 Once you subscribed to Shaving Grace, you can let your friends know how to save on their next smooth shave. Surely, you want your friends have the same happy shaving experience as you. Not only does Shaving Grace gives you R100.00 off your next deliveries for every referred friend, but your friends will receive our exclusive Shaving Grace bag, which holds not only our razor handle but other stuff like glasses, cellphone and much more. The more friends you have and refer the longer you will get R100.00 off your next deliveries. Your friends will be even more happy to know, that they will be able to get R100.00 off their future razor blade deliveries when referring and making their friends happy. Once all your friends, your friends friends, your friends friends friends, your friends friends friends friends and so on are able to save on their shaves, Shaving Grace has fulfilled its calling to provide every South African men with high quality razor blades at a good price conveniently delivered to their door. Start making your friends happy today. One handle with a premium quality German engineered 5-blade cartridge. Welcome to your NEW BEST SHAVE! Premium quality German engineered razor blades delivered to your door. Copyright © 2019 Shaving Grace, a division of Online 365 (Pty) Ltd.